New from Air Hogs comes the Rollercopter! Obviously there are no prizes in guessing that this new remote control (RC) toy can roll. It can roll along floors and up walls. It can bounce off walls and smash off ceilings and most importantly it can fly. Below is the official promo…. I was initially worried about the kids using the Rollercopter in the house. I was sure something was going to get broken. The protective roll cage is actually very lightweight and even if you flew it into a window I would be pretty surprised if you did any damage to the window OR the Rollercopter. The Rollercopter is made for indoor use and is lot’s of [fun].….once you master the controls. There are two control knobs – one for thrust and the other is steering (left and right). Sounds easy right? Well not really. There is another little knob which adjusts the trim (huh? ), it basically adjusts which way the Rollercopter tilts or leans (I think, I’m still not 100%…I just turn the trim knob until the Rollercopter rises properly). 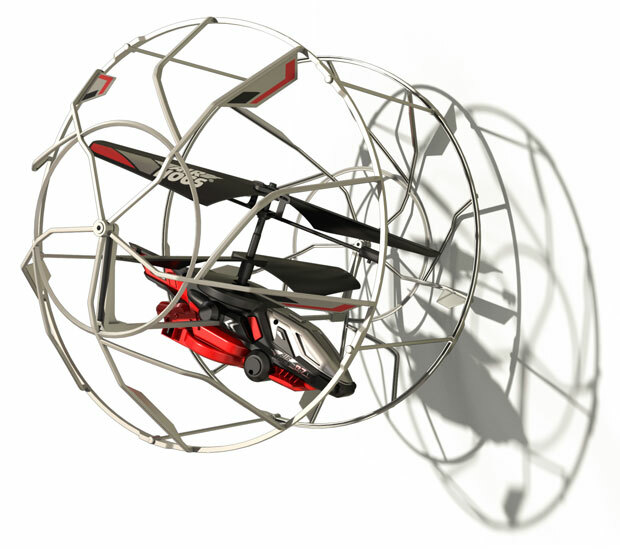 Below is our video of the Air Hogs Rollercopter…. The Air Hogs Rollercopter takes 6 x AA batteries and you charge the helicopter using a cord from the Controller (I show you the charging cord set-up in the video above). Make sure you charge the helicopter correctly. We had a few times when it seemed to run out of charge very quickly. I think for RC toys it’s alway best to get good quality batteries (or rechargeables). 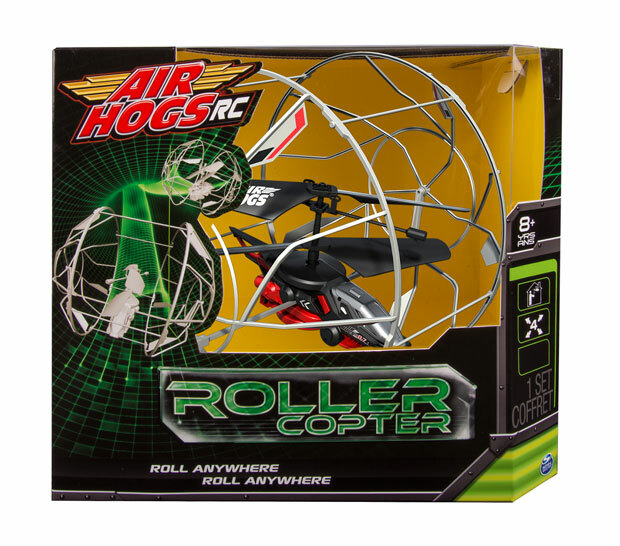 The Air Hogs Rollercopter retails for $69.99 and is available from Big W, Kmart, Target, TRU, Myer and Toyworld. This is a great RC toy for all ages, lots of fun and good for indoor play. The Air Hogs Rollercopter is great fun but it takes a while to master the controls to get the most fun out of it. I’m giving the Air Hogs Rollercopter a 5 out of 5 for it’s uniqueness. The kids just looked at it and were impressed. A helicopter in a roll cage – now that’s something I haven’t seen before! 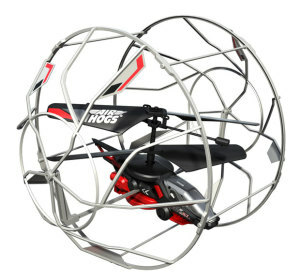 The Air Hogs Rollercopter is 69.99 which is pretty good value. Win an Air Hogs Rollercopter!